AUGUSTA -- Keith Cloutier introduced himself to Cony football coach Robby Vachon in the middle of the summer. 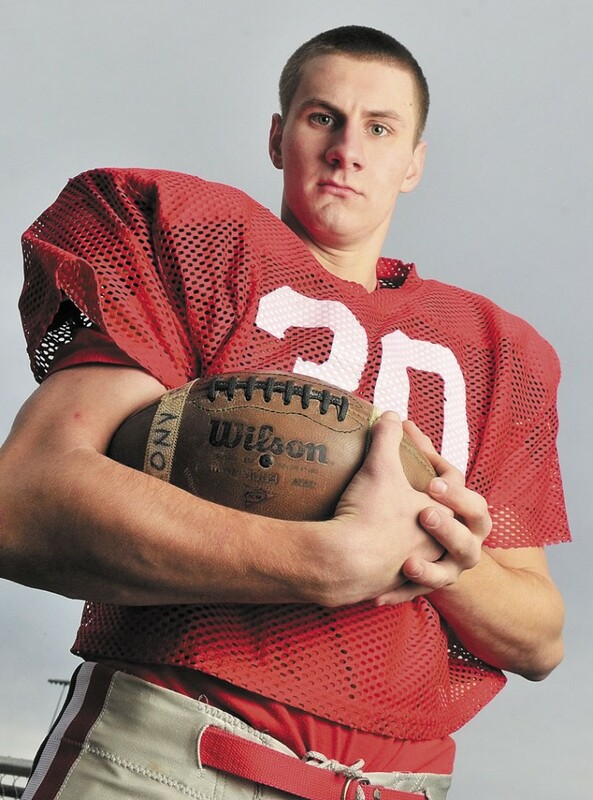 AUGUSTA — Keith Cloutier introduced himself to Cony football coach Robby Vachon in the middle of the summer. The 18-year-old Erskine Academy transfer wanted to try a new sport, and, well, football seemed like a lot of fun. It didn’t take long for Cloutier to introduce himself to the rest of Pine Tree Conference Class A. With no prior football experience, Cloutier showed up for tryouts, impressed in the preseason and earned himself a starting position at defensive end. Vachon said the coaching staff was quickly impressed. Cloutier started at defensive end in the regular-season opener against Messalonskee and never missed a game. He’s a big reason why the Rams are enjoying their finest season since 1992. No. 2 Cony (8-2) will play at top-seeded Lawrence (10-0) in the Pine Tree Conference Class A championship game at 1 p.m. Saturday. Neither can his father, Adam Cloutier, who played middle linebacker and fullback for Cony in the late 1970s. Adam Cloutier graduated from Cony in 1980. He played on the 1979 Cony team that upset state champ Gardiner. Cloutier wore No. 30 for the Rams then. His younger brothers, Andy and Aaron, also played at Cony and wore the No. 30. The number was available this season and Keith Cloutier scooped it up. Cloutier said it was a smooth transition on the football field and in school. While he’d never played organized football before, he’d been around it all his life. It helped having his father and a few uncles play the game. Senior captain Chandler Shostak, who plays defensive back and wide receiver, said Cloutier fit in immediately. Now, the latest in a line of Cony Cloutiers hopes to help the Rams reach their first Class A state championship game.